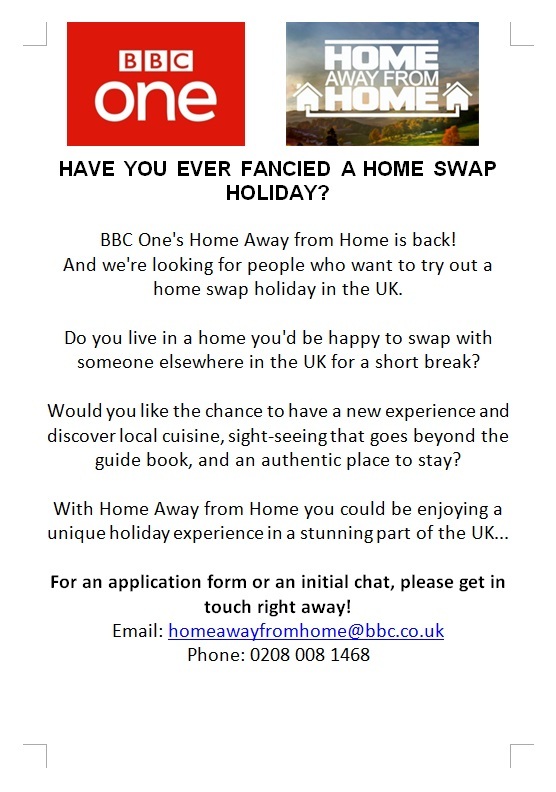 The BBC are looking for couples (be it partners, friends or family members) from across the UK swap homes with one another over the course of three days. It’s a chance to have a new experience and discover local cuisine, sight-seeing that goes beyond the guide book, and an authentic place to stay. It might be that people are considering a home swap for the first time or have swapped many times before. It’s very much a warm-hearted series and celebrates the beauty of our homes and localities in the UK. All the extra information you need is in the below picture. We could be seeing you on our TV screens soon!